England’s loss is Ireland’s gain – again. Six months after Stuart Lancaster went some way to eradicating his Rugby World Cup heartache with European Champions Cup glory, another of England’s sacked 2015 staff is making leaps back towards the top of the international game. 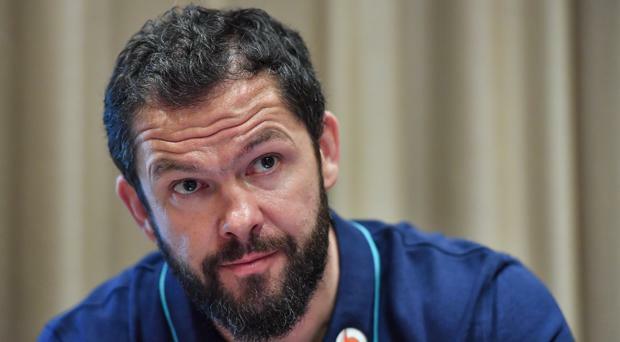 The announcement that Andy Farrell will replace Joe Schmidt as Ireland head coach would normally not be such a surprise given that he is part of the New Zealander’s current backroom team, not to mention one of, of not the most highly rated defensive coach in the northern hemisphere. But the attempt by the Rugby Football Union to bring Farrell Snr back to Twickenham during the summer earlier this year to replace Paul Gustard and, importantly, work under Eddie Jones, makes it that little bit more remarkable that on the same day the richest union in the world released their latest financial figures, they saw their top target slip out of their grasp for the foreseeable future. Farrell has signed on with the IRFU through to the end of the 2023 Rugby World Cup, meaning that he is unlikely to be in the frame for the England job when Jones leaves – either at the end of his contract in 2021 or after next year’s World Cup depending on results. After beating England last year to prevent a second consecutive Six Nations Grand Slam and then clinching their own clean sweep this year at Twickenham, securing Farrell down for the long-term feels like 3-0 to the Irish. After all, this is the man who was essentially groomed for the job at Twickenham right from the very start, with his brains just as prominent as his brawn when he made the switch from rugby league back on 2006. When Farrell’s record is taken into account – particularly the brilliant defence shown in New Zealand by the Lions and the two performances by Ireland against the same opposition in 2016 and 2018 – any side would look at him as a genuine contender post-2019 World Cup. But by taking the Ireland job, is Farrell setting himself just as much pressure as a return to England would? Eddie Jones has spoken regularly about the pressures of being the England head coach, a job that involves more media and more scrutiny than, he says, anywhere else in international rugby. If Farrell were to return and replace the Australian, there would be an endless clamour for the Farrell father and son combination to take England back to the top of the game – and nothing else would do. But that may be exactly what Farrell is signing himself up for, albeit without his son by his side. Ireland are now very much in contention to challenge for the World Cup next year, and their recent victory over the All Blacks will only do them the power of good for any future encounter in Japan, given the entire squad knows they are beatable. If both Ireland and New Zealand top their pools, they cannot meet until the final, should both teams make it, and if the Emerald Isle goes on to do the unthinkable under Schmidt, Farrell will face the unviable task of following a World Cup victory. Either way, it will be a baptism of fire for Farrell as he moves into his first full coaching position. But so far he appears to have the right tools to make a strong fist of it, and in a set-up as strong as Ireland’s – probably the strongest in the world – he’s in the perfect environment to do just that.